Those of you who receive the e-newsletter from Crossroads may have already noticed this, but Ryan Seaton is releasing his solo CD, The Stage Is Bare, on Crossroads. It remains to be seen if Seaton has signed on as a label artist, or if Crossroads picked up the distribution rights for the project (similar to the way they have The Dills), but either way it’s a big signing for the label. Ryan has all kinds of name recognition due to his time with Ernie Haase and Signature Sound, and his association with Crossroads, no matter what the nature, can’t be anything but a win-win for both entities. Listening to the sound clips, it seems that Seaton is positioning himself to try and become SG’s answer to Michael Buble. 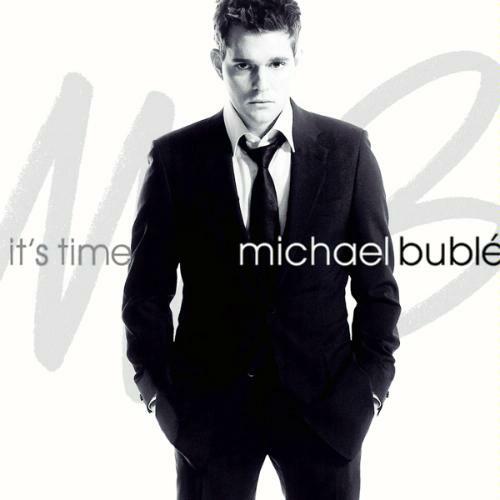 His CD cover even bears a striking resemblance to Buble’s It’s Time CD. Buble is wildly popular, and that style definitely can fit within the SG fold, so here’s hoping it works out for him! I’m personally a Buble fan, so I’m definitely interested in seeing how Seaton succeeds. What’s It Going To Take For SG? I’ve been reading up on Facebook and have seen numerous comments about people excited for today’s release of Michael Buble’s new CD, Crazy Love. A month ago, it was the release of the Beatles’ canon in a CD box set and the release of their entry into the Rock Star series of video games. People lining up outside of stores before they open, people hoping to pick up the new Buble CD this morning before they head to work. Quite generally a lot of buzz and excitement. Now I don’t expect SG artists to equal the Beatles or Buble, but why don’t we see the same level of enthusiasm? The closest thing I have seen to it recently was the buzz over the release of the Gaither Vocal Band’s Reunited. I can remember a few years back heading to the local Christian bookstores as soon as I found out a new Gold City CD was releasing and constantly bugging them to see if they had it in, but a majority of the time, I was the only one. So what will it take for Southern Gospel to develop the kind of passionate fanbase that slams iTunes for the next Brian Free & Assurance album, or has people waiting in line at Target or even Lifeway trying to get a copy of the new Booth Brothers CD. We may not have 150 people waiting at Best Buy’s door at midnight the night of a big time release, but couldn’t there be 10 or 15 at Lifeway the morning of a big release? What would it take for Family Christian Stores to sell out of the Statesmen’s box within a few hours? How can we get more people more excited about our music?